If you guys wanna feature , in the top 5 unreal plays Simple either put a link to your raw video file here , or upload straight to YouTube and link in here, Remember to tell me what time the frag happens if you upload a 10min game ! at somepoint i love to give away decent prizes for anyone that summits a play , but for the time being i got a limited supply of Flak You stickers and badges straight from Epic HQ to give away to the number 1 spot! thank numb! big thanks goes to Max carnage for the awesome audio work he did on the intro sfx and backing track! Great idea and great execution! Well done sir! Very nice bro. Nice gfx and presentation, and 60 fps looked sweet. Really fits in with the whole sports center theme of the "frag center". Good work. That was awesome. One piece of constructive criticism would be to show a bit slower motion replay of the kills sometimes. For example watching #1 I was excited to see what the kill was so it builds up a climax, then it happened quickly and that was it, no slower replay to really take in the skill of the shots. My 2 cents - looking forward to the next Top 5! Last edited by Chrisau; 05-22-2015, 07:17 AM. Dude, I can't wait to see more of these. Fantastic presentation. I hit that subscribe button without hesitation. Yea will do chrisau i think i had a brain fart there but its a good point ! Extremely well done and I can't wait to see more! I will definitely be on the look out for footage to contribute. 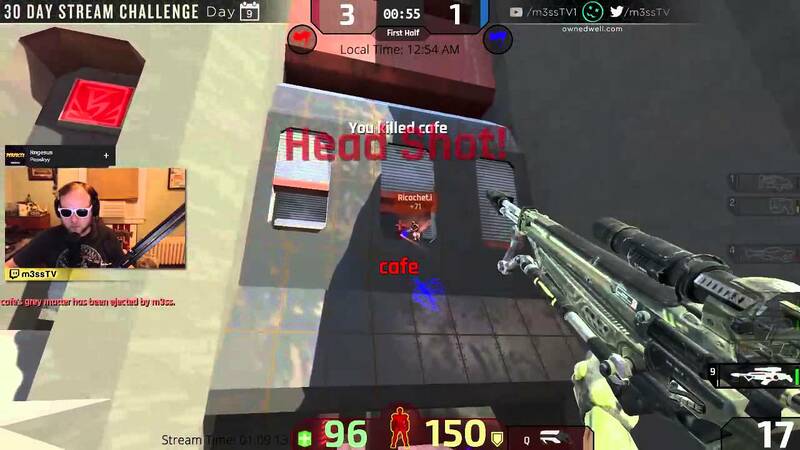 Here's a random mid-air/trans headshot on cafe. I only post it because it's on cafe.